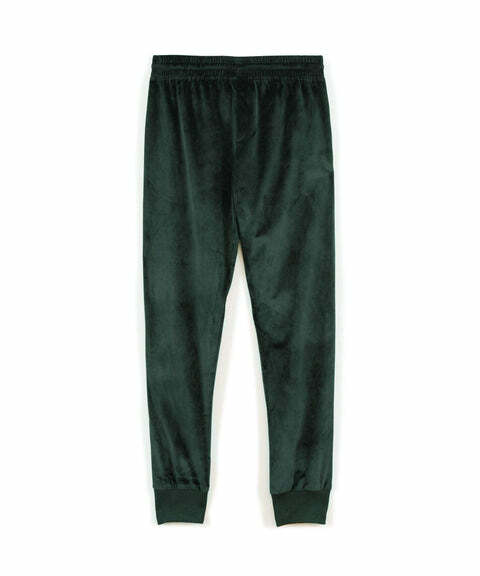 French terry track shorts. 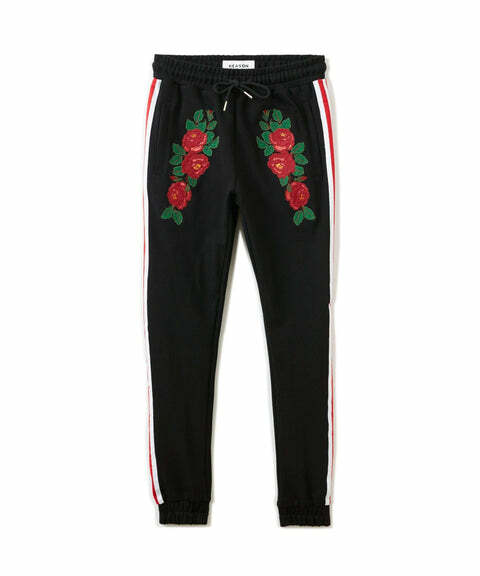 Features stripe woven trim, dragon and floral embroidered artwork, side entry pockets and welt back pockets, and extra long drawstring. Fits true to size. Poly tricot track pants with allover print. Features sewn contrast stripes on side seam, side entry front pockets and back welt pockets with piping, and extra long drawstring. Fits true to size.